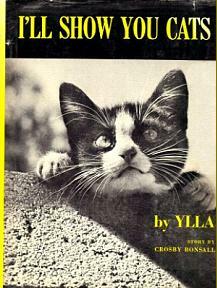 Ylla was a remarkable animal photographer who produced a series of books for children that are instantly recognizable by their characteristic and distinctive graphic design: taxi-cab yellow and bold high contrast black and white photography. ICP has many of her charming books for children: Polar Bear Brothers, The Little Elephant, Here’s Jellybean Reilly, I’ll Show You Cats, Who’s Eye Am I?, Animal Babies and The Duck, together with a number of books on animals for wider audiences. 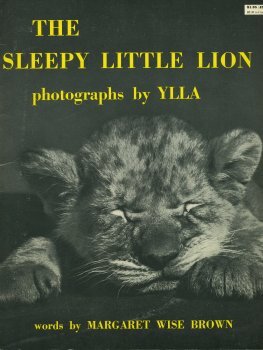 Ylla shares a number of things in common with ICP’s founder Cornell Capa and his generation of great photographers: Hungarian origins, a stint living and working in Paris before the Nazis, and then on to New York, a made-up photographer name, and she even passed away prematurely from injuries incurred while photographing in the field. In her case, in India in 1955, one year after Robert Capa and Herbert Bischof died working in Indochina and Peru, respectively. This entry was posted in Unpacking the collection and tagged animals, children's literature, Hungarian photographers, photobooks, pseudonyms, Ylla. Bookmark the permalink.